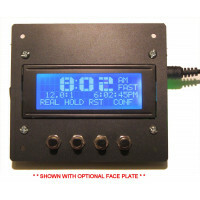 For those seeking more realistic model railroad operations, a fast clock - a clock that runs at some multiple of real time - is often the answer. The distances on our layouts are never as far as on a 1:1 railroad, and to simulate realistic timetable operations, we need time to be scaled down to match our trains. 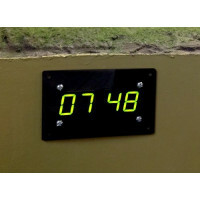 That's where the Iowa Scaled Engineering Wireless Fast Clock Master comes in - a fast clock targeting model railroad applications, with flexible configuration to accommodate most any layout or operational scenario, and that will automatically network with other displays placed around the layout. 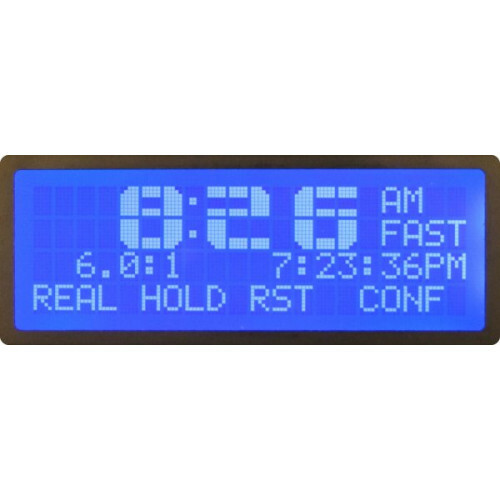 Connected wirelessly, the secondary displays show the current time - either scale or real - so every operator can easily keep an eye on the time. Connects to secondary displays without any wires! 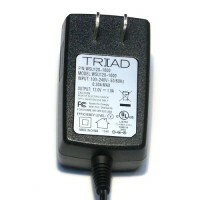 The Wireless Fast Clock Master requires an 8-18V DC power supply. 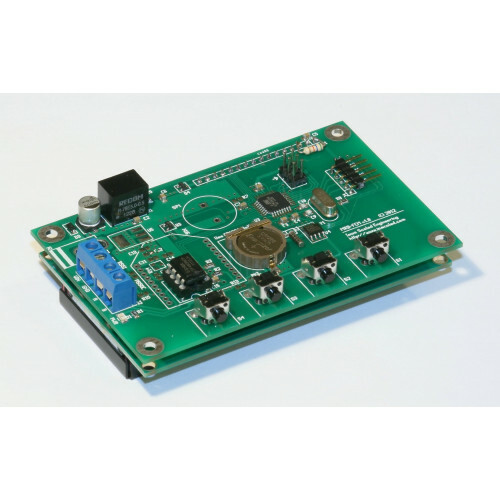 As with most of our products, the MRBW-FCM is open source hardware and software. We provide all the design files, and you're more than welcome to build your own or tinker with the software. Design files can be found at the GitHub link above. Since the MRBW-FCM broadcasts time status on MRBee, a wireless version of MRBus, any node on the bus can be configured to act on the current clock status. Potential applications include automating layout lighting to match scale time of day, control of model structure lighting, or even triggering station announcements or layout animations. 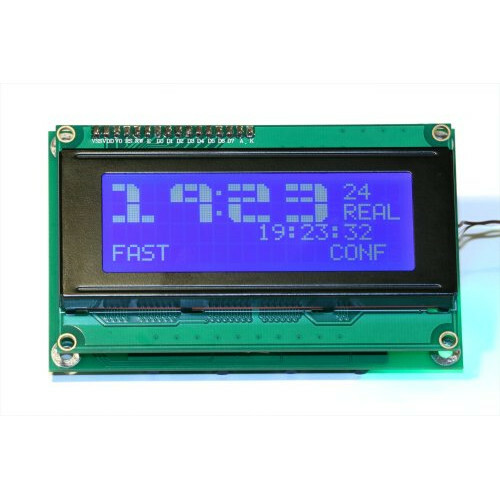 Alternatively, for users willing to write their own firmware, the MRBW-FCM can be repurposed as a generic wireless MRBus-enabled LCD panel with a real-time clock and buttons. If anyone actually does this, please let us know and we'd be happy to feature your new application.